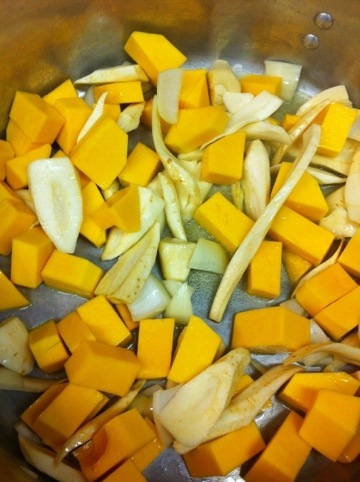 Butternut squash is the go to vegetable in the fall. Here I use it as a sauce for our chicken dish at the Ranch, but would go great with pork and some fish. Cut all vegetables the same size and sweat them out in a large pot with a small amount of vegetable oil. Once the vegetables are soft, add sage and de-glaze with the white wine. 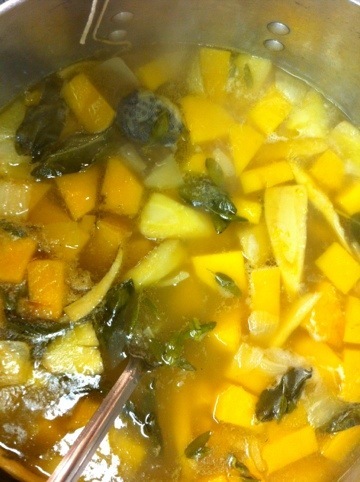 Add the stock and sachet and bring to a simmer. Cook until all of the vegetables are tender. 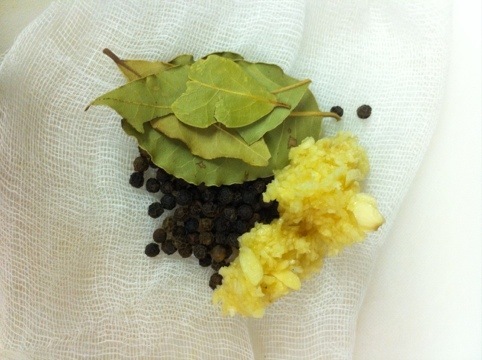 All ingredients for the sachet are placed onto cheesecloth then tied into a little pouch. Once the vegetables are tender, remove the sachet and puree the vegetables until smooth. Return the sauce to the pot and add cream and bring to a boil. The sauce before the beurre manie has been added. Break the beurre manie into small chunks and gradually add until the sauce has started to thicken. 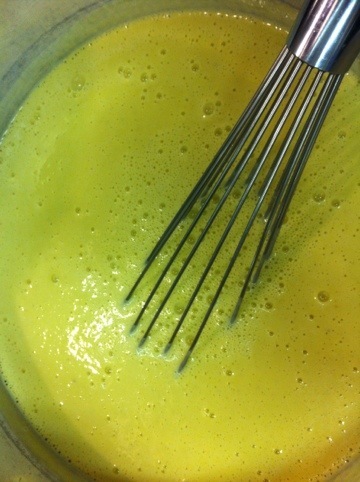 Simmer for an additional five minutes and check the consistency, and if needed, add more of the beurre manie. 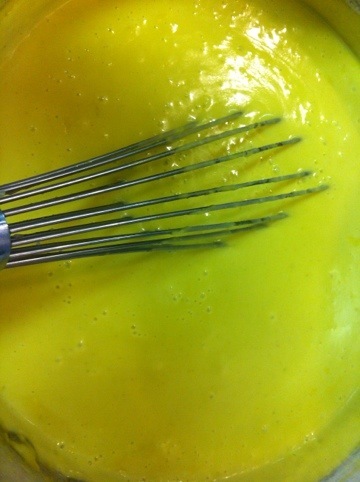 The sauce should ribbon as you whisk it. Finished butternut veloute, notice the sheen you get from the beurre manie.